Home Taxation In What Account Should I Hold International (non U.S.) Dividend Stocks? The following post is written by Brian So, an insurance advisor and blogger at briansoinsurance.com. Since my last post generated a lot of interesting discussion on which account to hold US stocks and ETFs, I’ll follow it up with a post on the impact of withholding taxes of holding international (non US) dividend stocks in different accounts. Canada does not just have tax treaties with the US with respect to dividends paid to Canadians from US stocks. We also have tax treaties with 89 other countries in force and treaties signed but not in force with about a dozen other countries. What this means is that dividends received from shares of companies in these countries will also be subject to withholding tax, depending on which account you hold these shares in. You would be able to claim the foreign tax credit (FTC) to recover the amount withheld, but only in non-registered accounts. By far the most common amount withheld is 15% of the gross dividend paid out, although there are a few exceptions, most notably India (25%). The rest of this post will describe the impact of the withholding tax on dividends paid by countries that have tax treaties with Canada. Where ETFs are mentioned, the same rules apply to mutual funds. The most direct way to get exposure to the international market is through their own stock exchanges, such as the London Stock Exchange or the Shanghai Stock Exchange. In a non-registered account, dividends paid to Canadians from these international companies will have a portion withheld which can be claimed back with the FTC. In a RRSP, the withholding tax will be waived since it is an account for retirement savings, so you will receive the full amount of the dividend. The withholding tax is not waived for a TFSA since it is not an account specifically for retirement. Another way a Canadian investor can access the international market is through US-listed ETFs. In this case, there are actually two levels of withholding tax: one from dividends paid by the international company to the US ETF, and the second from the US ETF to you. In a non-registered account, even the international withholding tax can’t be recovered, since the dividend does not flow directly to you and instead is paid to the ETF. However, the tax withheld when the dividend is distributed to you by the US ETF can be recovered via the FTC. In a RRSP, the first level is withheld and not recoverable. But since it is an account for retirement savings, the second level of withholding tax is waived. The same can’t be said about a TFSA. Therefore, in a TFSA, you’re dinged twice and both levels of the withholding tax are unrecoverable. 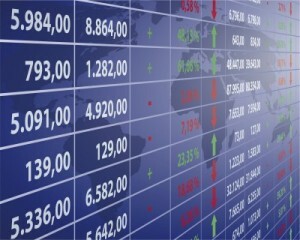 Some Canadians prefer to own international stocks through Canadian-listed ETFs. The rules governing withholding tax is exactly the same as for Canadian-listed ETFs holding US stocks from my previous post. So in a non-registered account, the FTC can be claimed to recover the tax withheld. In a RRSP and TFSA, tax will be withheld and can’t be recovered with the FTC. If you want exposure to the international market while hedging the Canadian dollar, you can purchase a Canadian-listed ETF holding US-listed ETF of international stocks. Once again, there are two levels of withholding taxes to consider: one from dividends paid by the international company to the US ETF, and the second from the US ETF to the Canadian ETF. In a non-registered account, the first level of withholding tax which is paid from the foreign company to the US ETF can’t be recovered. But the tax withheld on the dividend payable by the US ETF to the Canadian ETF can be recovered by claiming the FTC. In a RRSP, the first level is withheld and unrecoverable since the dividend flows from the international company to the US ETF. Withholding tax also won’t be waived on the second level since it was paid by the Canadian ETF and not by you. So in a RRSP and TFSA, both levels of withholding taxes apply and are not recoverable. Table 1 below, summarizes the differences between International-listed stocks (C), US-listed ETF holding international stocks (D), Canadian-listed ETF holding international stocks (E) and Canadian-listed ETF holding US-listed ETF of international stocks (F) in a non-registered account, RRSP and TFSA. Table 1. Withholding tax lost forever? You may now be aware of a few patterns here. First, withholding tax from international dividends paid to US ETFs can never be recovered via the FTC. Second, withholding tax will only be waived for a RRSP if you hold the shares directly, or if a US ETF pays the dividend directly to you and not to a Canadian ETF. Third, TFSAs get the worst treatment with regards to withholding taxes. Table 2 below, summarizes the tax treatment for a $100 international dividend in different accounts. Table 2. Example of $100 dividend from international stocks in different accounts. Like I mentioned in my previous post, withholding tax is just one factor to consider when choosing which investments to put into which account. While it may seem favourable to put all foreign dividend stocks into a non-registered account, these dividends don’t receive the same preferential treatment as eligible Canadian dividends and are fully taxable. Therefore, depending on your tax bracket, the non-registered option may not be the best choice. While this post provides general information on situations involving withholding tax of foreign investments, it does not provide tax advice. Please seek a tax professional regarding your tax obligations. Brian So, CFP, CHS, is an insurance broker and blogger at briansoinsurance.com . Follow him on Twitter for his musings on life insurance and why the Vancouver Canucks will win the Stanley Cup next season (Seriously). Readers what’s your take? Do you hold foreign listed dividend stocks? How about the case of International stock US ADR ? I think it’s similar to D, but I’m not sure. They’re American Depository Receipts and is a way for non-US companies to list their shares on a US exchange. The answer depends on the treaty between the US and the foreign company. There may be withholding tax charged by the foreign country, but none from the US, no matter what account the ADR is in. So it’s similar to D except the US doesn’t withhold any tax. I would like to know if in a RRSP the witholding tax for Euronext in Amsterdam (RDS.A) is waive? I have looked in tax treate between Canada and Netherland but wasn’t able to find anything on retirement account in it. If you don’t know for sure do you know where I could call? I’m curious about a Canadian-listed ETF holding a US-listed ETF of US stocks. For instance VUS.TO holds VTI which is a Broad US index fund. That’s two levels of ETFs but would VTI withhold any taxes since it holds US stocks? In other words, is it more like category F or B? Thanks for your comment. That would fall under B-Canadian ETFs holding US stocks. There’s only one level of withholding tax: from US to Canada. It can be claimed with the FTC in a non-registered account but won’t be waived for the RRSP, since the ETF paid the withholding tax and not you. How about a global mutual fund like Mawer Global Small Cap fund? How do you calculate the withholding tax on dividends? I’d like to purchase some foreign stocks that trade as ADR’s on US exchanges – for example the Spanish bank, Banco Santander, the pharmaceutical company, AstraZenaca, and the Russian energy company Gazprom, but am very confused about whether I’m better off putting them in my RRSP, my TFSA or my non-registered account and don’t know where to find the information. Since I’m a carpenter, not a financial industry worker, I doubt I’d understand a tax department website explaining tax treaties or the way Canada deals with my intended purchases. Where am I likely to get answers that I can understand, as to which account to stuff the goodies into? Tax withheld by the issuer can be claimed back with the FTC in non-registered account. They are not waived for RRSP/TFSA, so what you receive in those accounts will be net of the withholding tax, which won’t be recoverable. Having said that, while you may think the non-registered account is the way to go, you also have to consider your MTR and other investments. Only by understanding your whole financial picture will you be able to decide where to put your investments.